This giveaway is divided into 4 different science packages. I am giving away my Science Vocabulary: Force package. Take a look! 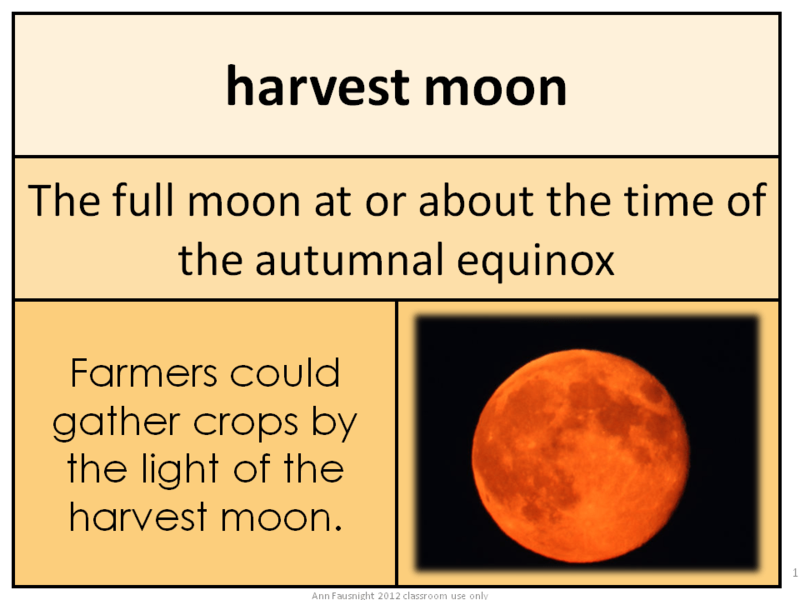 More fall vocabulary word of the day cards will be featured here throughout the week, watch for them! We used to go out into the country to gather hazelnuts when I was little. We’d trudge through the woods and take in the beauty of nature. We’d see the frisky, happy squirrels playing chase throughout the trees. It was an amazing adventure in color. More autum words next week, but no Saturday Extra this week. My daughter is flying in for a visit (with her boyfriend!!). See you Monday. This is an amazing, prize-filled giveaway! You don’t want to miss it. I love autumn. The beautiful leaves have always filled my soul with color to get me through the cold winter. Then I moved to Texas and lost the wonderful change of seasons. There are many things to love about Texas, but this time of year I long for the Northeast. I want to take in all those warm vibrant colors. 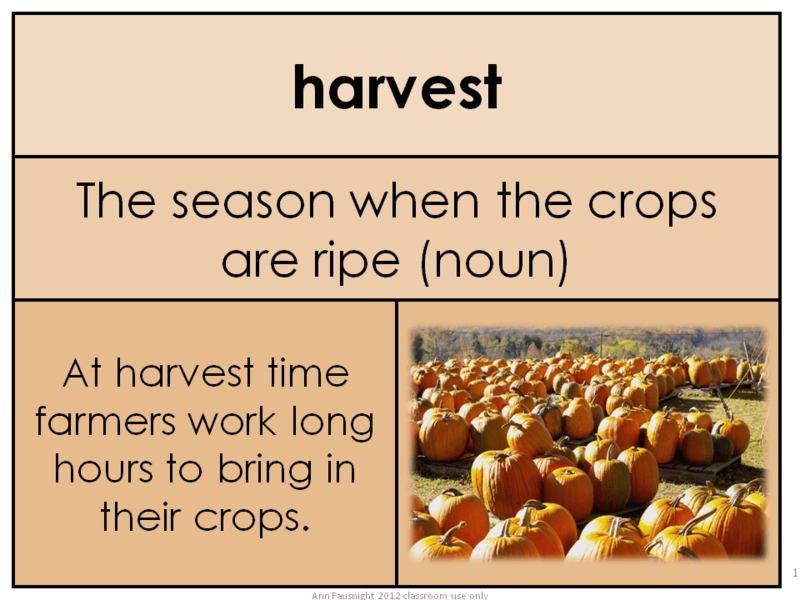 If you like my word of the day cards, you can find more at my TPT store. 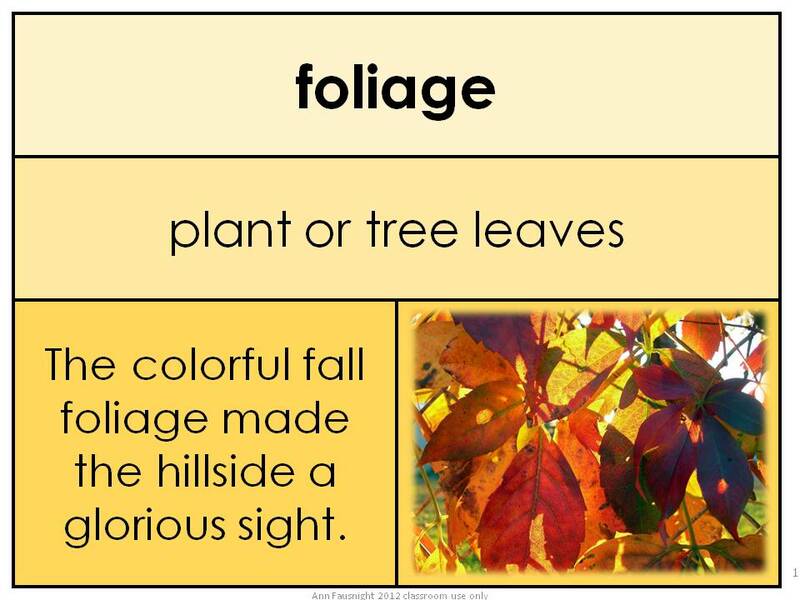 Here are more autumn word cards for you to enjoy. I’ll post another tomorrow! Come and see. 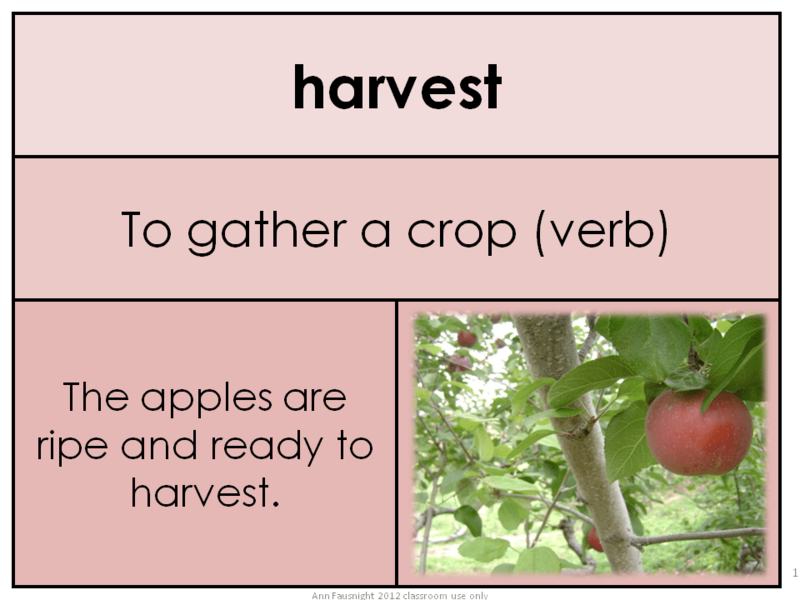 If you’d like to have more of my word of the day cards, please visit my TPT store. 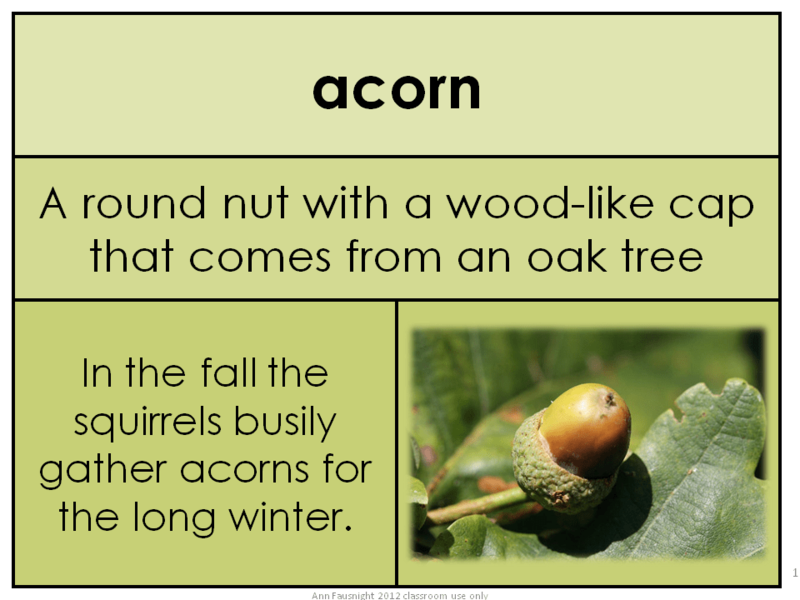 Autumn Word of the Day Again! Pretend I posted the first one on Monday and this second one on Tuesday! I won’t tell if you don’t. 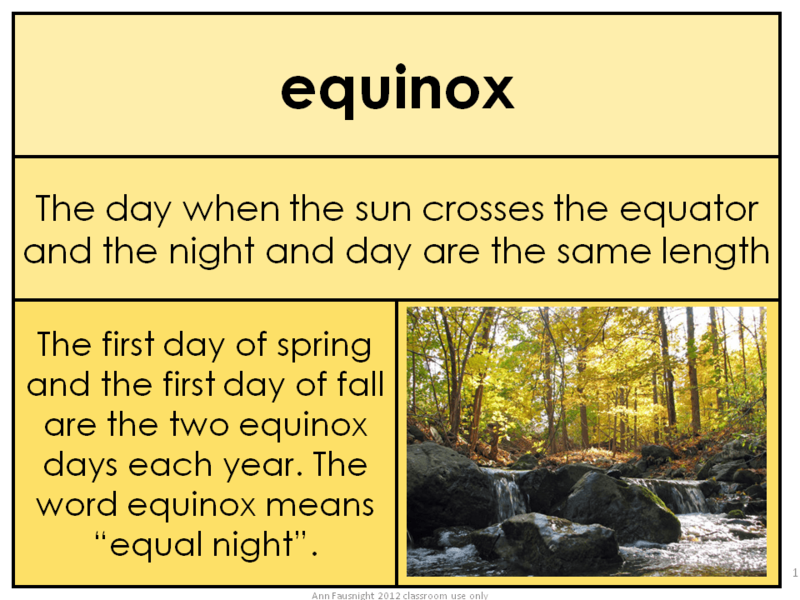 Find more of my Word of the Day cards at my TPT store.